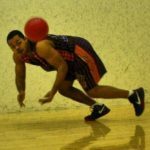 Kevin Bailey: First off, congratulations on wining Baller of the Month. How does it feel to cap off the season with a National Title and a well-deserved BOTM distinction? 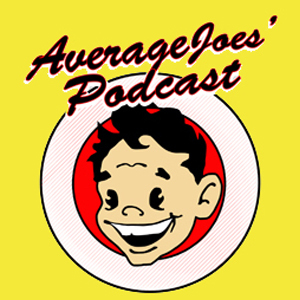 Aaron Krafft: Thanks, Kevin. Winning the National Title this year was unlike any other year because of what we went through this season to get there. Outside of MDC, we never played to our potential but at Nationals we played better than I thought was possible. As far as BOTM goes, I’m honored to be chosen because I know there are lots of others worthy of the distinction. 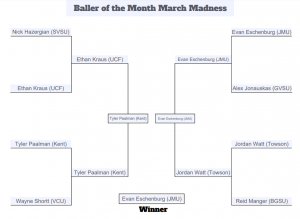 After a series of matchups and polls on Twitter, JMU’s Evan Eschenburg was the people’s choice, coming out on top over seven other talented and well-qualified dodgeballers. Throughout his career, Eschenburg has embodied what it means to be a true JMU dodgeballer, which lead to him being one of the captains for this season. Without a doubt, he has made a bigger name for himself this season and could even be placed in the league MVP discussion. I had a chance to talk to him to congratulate him and pick his thoughts on dodgeball, JMU, and Fortnite. 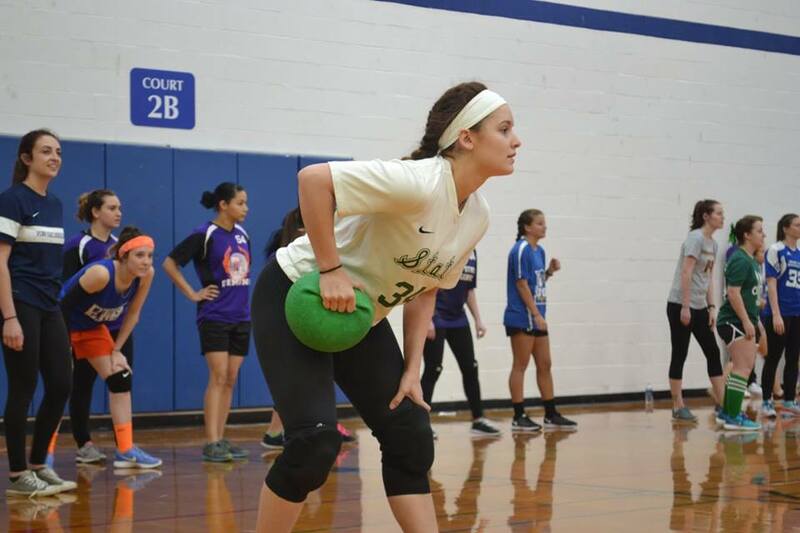 We are happy to announce that this month, along with our Men’s Baller of the Month bracket, we have put together a bracket with 8 of the top female ballers in college dodgeball for you to vote on. Akron’s Colby Briceland is your February BOTM. 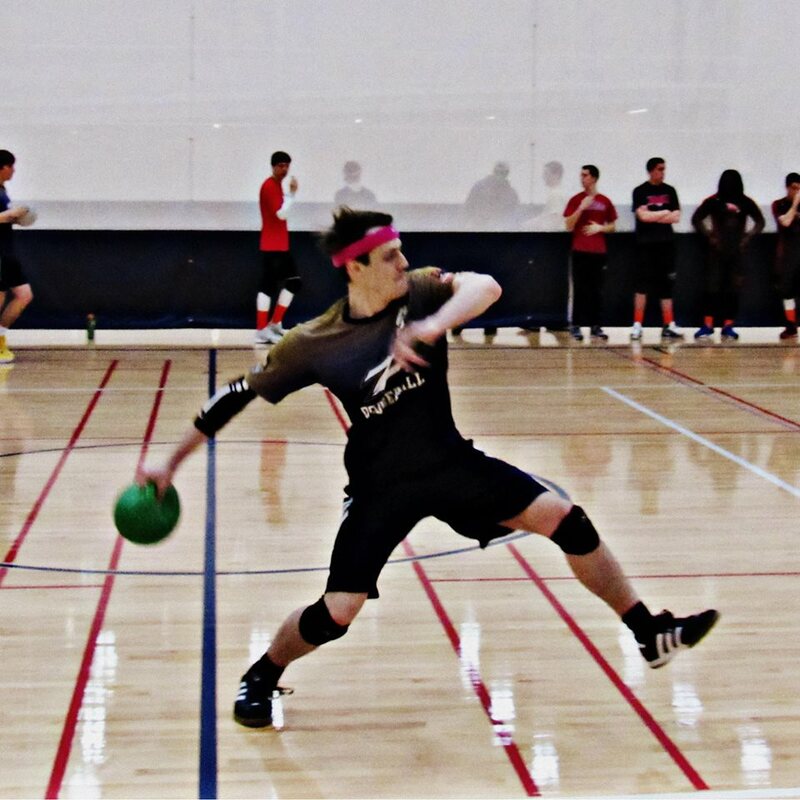 On Feb. 10, Colby hosted the largest collegiate tournament of the season at his school, Akron University. 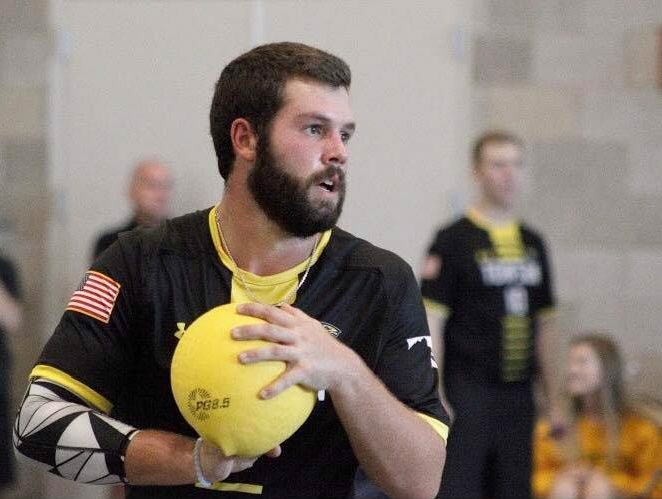 “The War” lived up to the hype as one of the most significant tournaments of the NCDA’s regular season and Colby played a major role in making sure this two-day event took place. 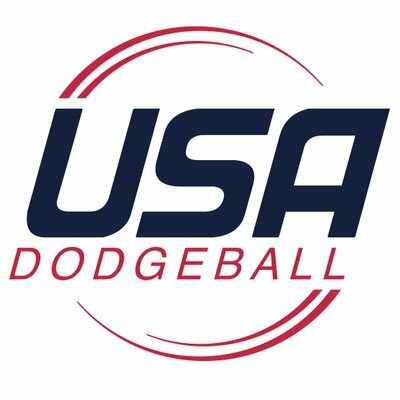 Just one week later, Colby put together a team of college dodgeballers from various teams throughout Ohio, Indiana, and Michigan to travel to Grand Rapids, Michigan for the GR Open. They played under the team name “Ohio Legacy” despite only a few of the players being regulars on that team. Colby did a great job introducing these players to a new format of dodgeball with a new community of players. 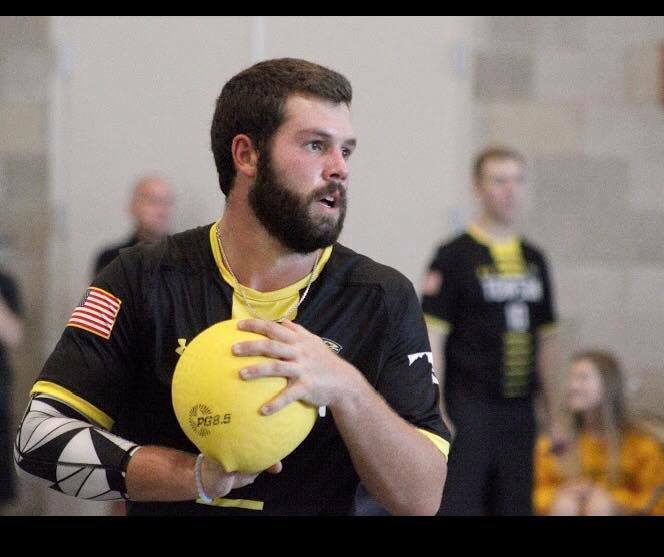 The Baller of the Month for September goes to one of the most well known players in the league: Michael Riley. Taking over as captain for Central Michigan University this year, Riley has had a very successful start to his tenure. The Chippewas currently are undefeated with a 6-0 record. Not only that, but they have avenged their title game loss to Grand Valley State with an early season 4-2 win over the defending champs. Riley has made a name for himself over the years both for his impressive on court skills, as well as for his abundance of confidence. 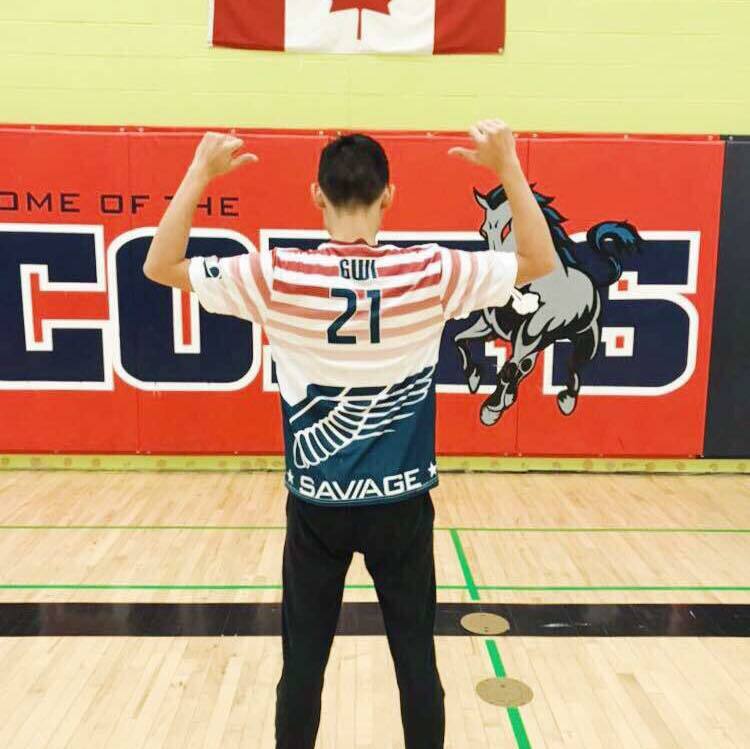 He has developed into an all-around star player for the Chippewas, and is one of my early favorites to take home league MVP at the end of the season. 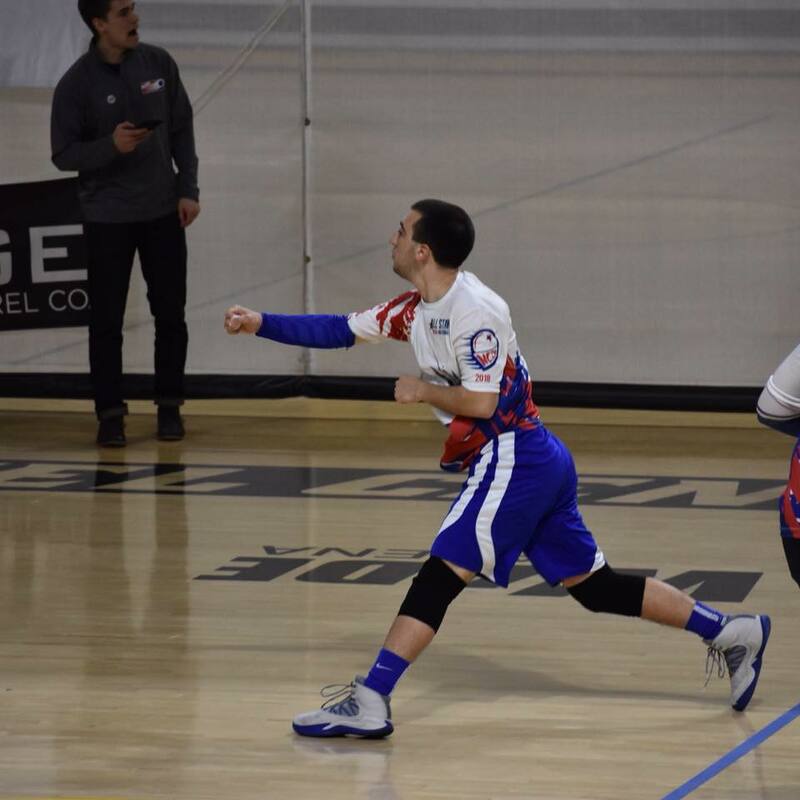 Check out our interview with the final Baller of the Month from the 2016-2017 season, Brandon Meisel of Grand Valley State University.